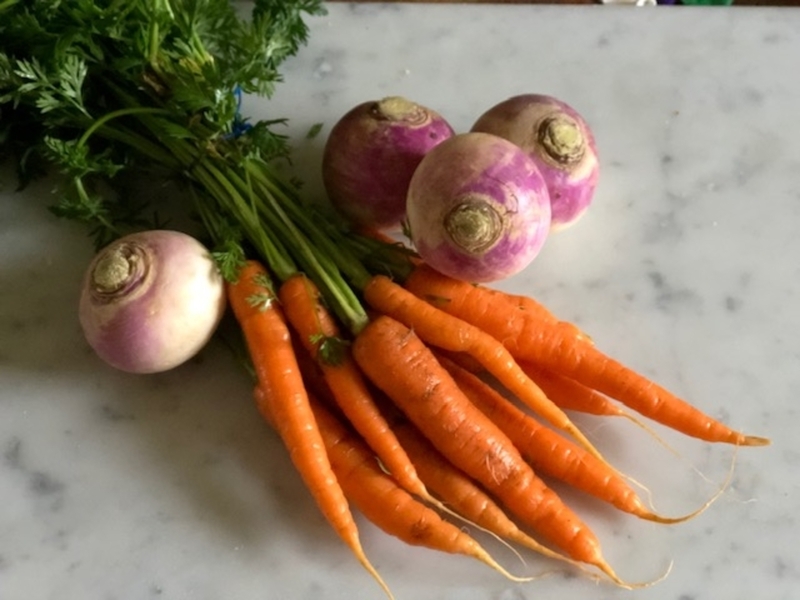 Carrots and turnips are at their peak season in November. When I saw piles of violet skinned turnips and bunches of carrots (greens still attached) at my local farmers market last weekend, I knew exactly what I would make. ‘Vichy’ refers to a method of cooking carrots where they are braised in a mixture of butter, sugar (in this case honey) and spring water: the spa town of Vichy in central France is renown for the quality of its water, hence the name of the dish. Traditionally, the recipe uses carrots, cooked until they are tender and the liquid has reduced to form a glaze. 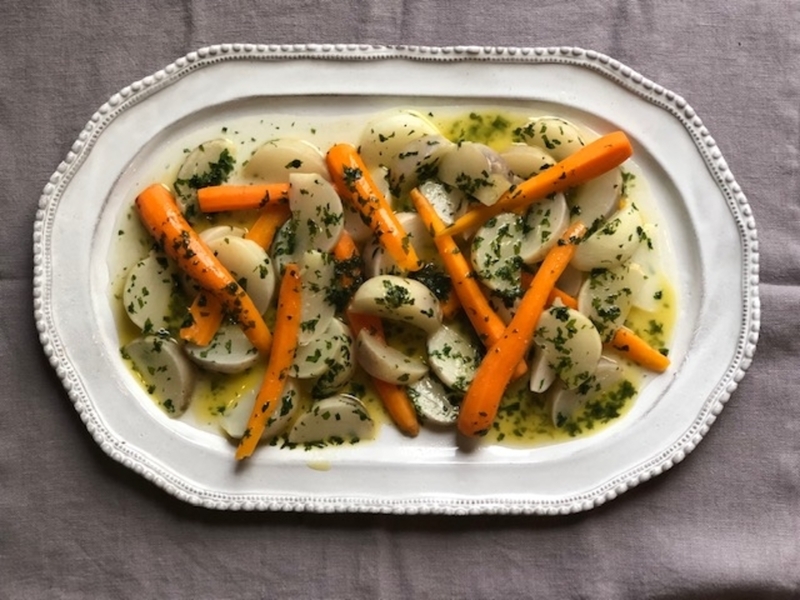 I particularly like using turnips too, their slightly peppery bitterness balances with the natural sweetness of the carrots. An added benefit is that the nutrients remain in the water you have cooked them in. This recipe originally appeared in House & Garden magazine.